Why Is Eastern Michigan University Cheering For The New York Mets In The World Series? Its rare for Eastern Michigan University to cheer for the New York Mets during the baseball World Series, but they are doing it because of a local connection. 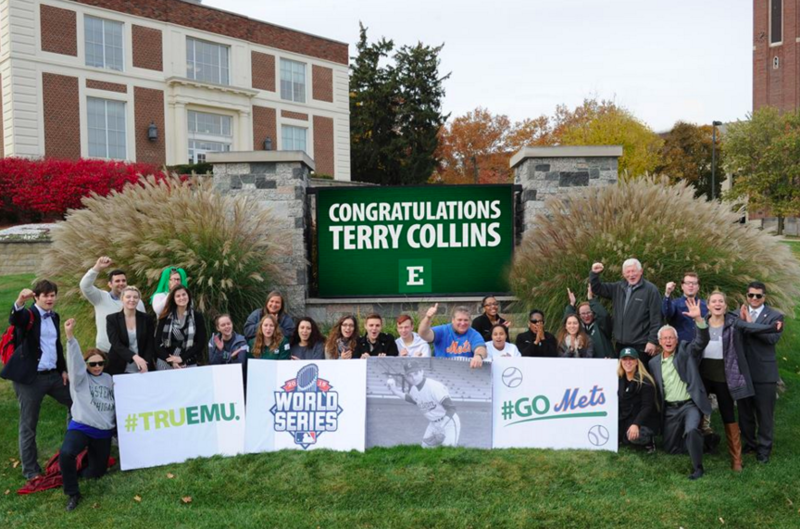 Terry Collins, the current manager for the Mets graduated from EMU in 1971 and was a student athlete at the university. Students, staff and faculty took a photo in front of an EMU sign and will send it to Collins as part of good luck package to celebrate. Among those in attendance was EMU accounting professor Howard Bunsis. 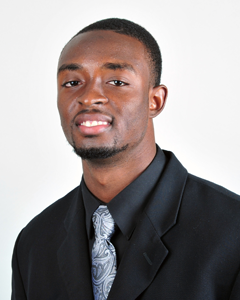 He explained to WEMU that his is very proud that Collins is part of the Eagle family. The first game is Tuesday night against the Kansas City Royals. Eastern Michigan University football players scored a touchdown with kids at Adams STEM Academy Friday. The athletes visited the school as part of a joint effort between EMU and the 2nd & Seven Foundation to promote literacy among young children. EMU Assistant Athletic Director for Academics Erin Burdis says the kids get a lot out of these visits, and learn about the importance of reading and being a good citizen. 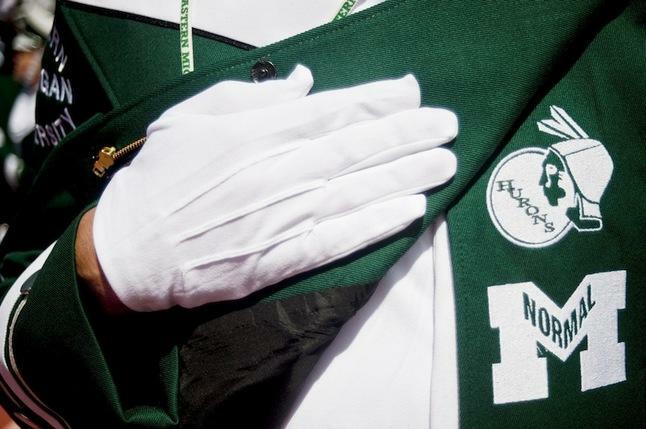 After 4 years of protests and debate, Eastern Michigan University has announced its decision to retire the school's controversial Huron logo a second time.